Various media outlets in India are reporting that police in Hyderabad are arresting hundreds of “beggars” and placing them in rehab centers (also referred to as ashrams) so that first daughter Ivanka Trump will not have an uncomfortable experience witnessing the city’s destitute during her visit for next week’s Global Entrepreneurship Summit (GES). The GES, which will see representatives from 150 countries unite to discuss innovation and entrepreneurship, is slated to take place in Hyderabad between November 28-30. According to the Hindustan Times, nearly 1,000 vagrants have been shifted from the streets to ashrams ahead of Ivanka’s visit. Two of the women were reportedly educated and from wealthy backgrounds. The women appeared to have suffered emotional trauma and abandonment which left them relegated to life in the streets. This month, Breitbart News reported that police in Hyderabad ordered a two-month crackdown on beggars, clearing them off the streets ahead of Ivanka’s visit to India for GES. However, authorities reportedly said the crackdown has nothing to do with Ivanka’s visit to the subcontinent. 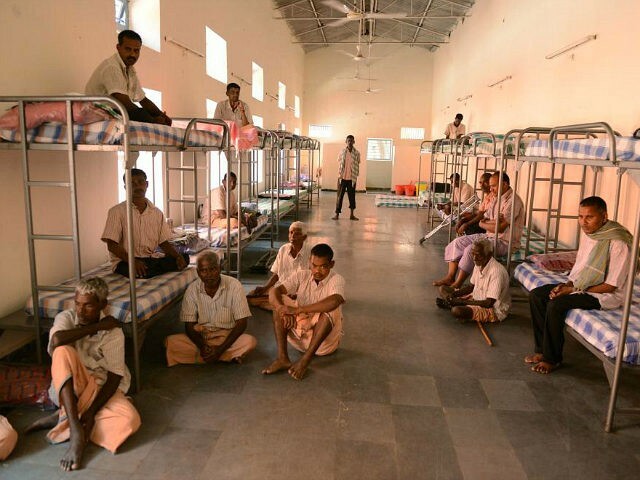 The Indian Express reported that nearly 400 beggars had been moved to a rehabilitation center at a nearby jail and that approximately 6,000 beggars would be moved to centers and shelters. The Hyderabad police had reportedly conducted a similar operation just before former President Bill Clinton visited India in 2000. Breitbart News also reported in 2015 that the Daily Mail uncovered how Manila authorities rounded up homeless children off the streets and caged them up in jail cells to shield Pope Francis from witnessing capital city’s poverty levels ahead of his visit there.